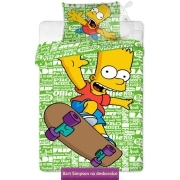 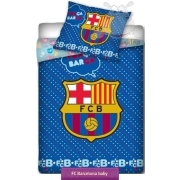 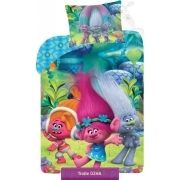 Bedding Trolls with pink Poppy and green blue Branch and silver Guy Diamond on light green background of bedding set. 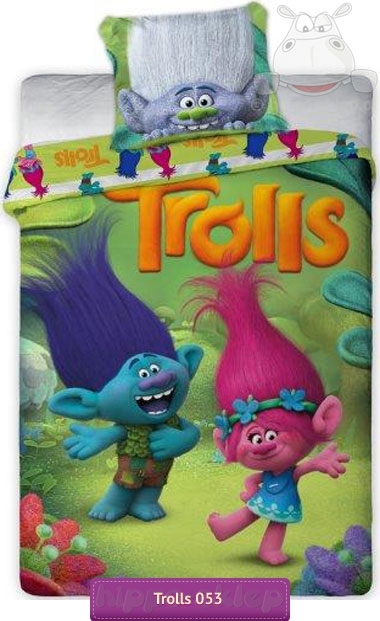 Kids single size bedding with Poppy – always smiling and happy Trolls who together with Branch moves in a long journey in order to rescue other Trolls kidnapped by Bergens. 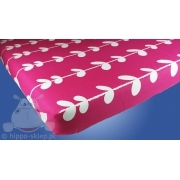 Bedding set with Poppy and Branch with single size duvet cover 135x200 or 140x200 cm or twin size 160x200 or 150x200 cm according to chosen variant with one pillowcase size 70x80 cm. 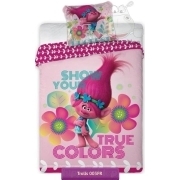 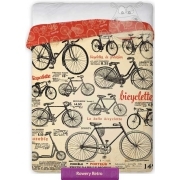 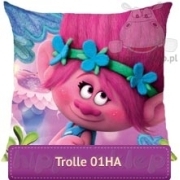 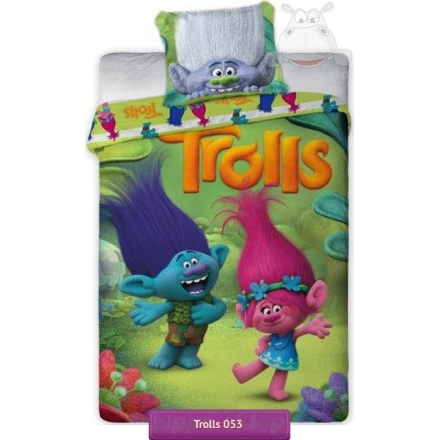 Bedding with Poppy for girls, made of 100% cotton, certified according to Oeko-Tex standard 100, made from official merchandise DreamWorks Trolls.